THE QUILTED PINEAPPLE: There Really Is A Santa! There really is a Santa...and his name is Scott. As in my husband Scott. Scott has been working hard making room for a new addition at The Quilted Pineapple. One of Santa's little helpers left Missouri today to make his delivery Friday. I'll give you a little hint...it's not a four legged gift, well it might have four legs on the table, but I do know it has one longarm on it!!! YES, I have an A-1 Elite Longarm Quilting Machine en route to my home as we speak! I'm so excited I can hardly stand it! My feet have hardly hit the ground since I found out the delivery date! I have been dreaming of owning a longarm ever since I laid my eyes on one! Actually, I never knew about longarms until a few years ago when my friend Patti showed my one at a quilt show. I thought everyone either hand quilted or dsm quilted their quilts because that's what I did. Little did I know! The A-1 Elite. This picture was taken at the very talented studio of Jamie Wallen. His website is worth a visit, if you are not familiar with his work. It's phenomenal! The APQS Millenium. This picture was taken at my very good friend Pat's studio. She has been a mentor to me. The Gammill. This was taken by my friend Patti at the Gammill dealer. Guess who's test driving the Gammill?? Patti joined me on a one day, 12 hour longarm marathon test drive! Thanks for all your patience, Patti! All three of them were amazing machines, but the A-1 was the machine for me. The A-1 was my favorite right off the bat. I made sure to really test drive the others just to make sure. Trust me, I tried to look for every reason not to love the A-1, but I kept going back to it. I just really bonded with the machine and with Jamie. One thing I repeatedly heard from LA owners was "make sure you have a good dealer, a dealer you like and a dealer you can trust." Well, I definitely found that with Jamie. Scott came with me to Jamie's studio to support me with my final decision. Jamie's studio is super cool! It's in downtown Kalamazoo MI located in the old Gibson Guitar Factory. Gibson guitars used to be made in Kalamazoo before they moved the company to Tennessee. I've lived in Michigan my whole life and never knew that! Who knew? When I go back, I'm going to take lots more pictures! We spent 3 HOURS with Jamie that day! We had such a good time there. Scott was very impressed with not only the A-1, but also with Jamie. It has been so wonderful that Scott has been so supportive. With Scott 150% on board, I called Jamie later that day to tell him to put the order in! Jamie is coming the beginning of January for a 2 day "set-up and train me" on the machine. It's just too busy right now to try and do all the set-up and training now. January, February and March are my downtime, which is a welcome change from the November/December season! That will give me tons of time to practice every day on my new machine! :-) I've been saving quite a few of my own tops to practice on. I plan on quilting for others soon! I've already had several ladies contact me. I'm so excited!! Hopefully, soon I'll be posting pictures of my new quilting skills! Congratulations! How very exciting for you. I'll be looking forward to seeing your quilting designs. I can tell how excited you are!! YOu did your homework and I know you'll be happy with it. Congratulations! Congratulations, Linda! This is very exciting news. That is thrilling news! Enjoy the experience. I used to think I would like to have a long arm. I know that physically, I could not spend hours a day operating one nor the prep work that goes with it. Congratulations! Now you have to give it a name. I call mine Arthur (as in Murray) since we dance together. Now your quilts will be 100% your creation. It is a good feeling. I am so excited for you!!!! OMG!!!! That is such fantastic news. My friend and I are planning on purchasing a long arm one day but we aren't quite ready financially or space wise. We are waiting for one of the kids to move out to use their room. We aren't pushing but hoping. LOL!!! Spending that day with you testing longarms was one of my fav days. I know you made the right choice for you. Oh-oh-oh! What exciting news! Congratulations! Wow!! Now that's what I call a Santa!! You must have been a very good girl!! Congratulations~! Congratulations, Linda! I wish you a lot of fun with your new "friend"! How exciting! 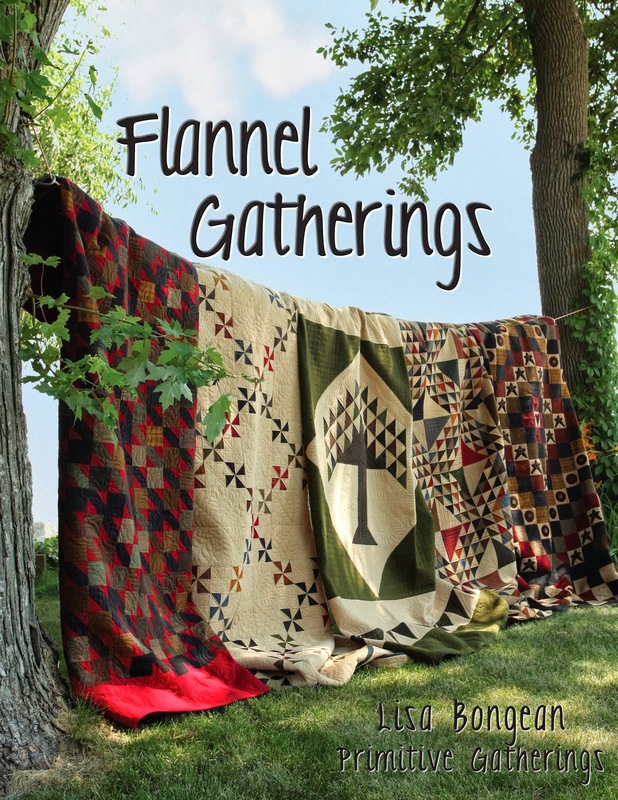 I KNOW all your quilts will be Fabulous! Woo hoo! I am thrilled for you! I know a woman who quit her job, sold her car and bought a long arm. She started a quilting business and is making a great income! What a wonderful present and something you will get a lot of use out of. I can't wait to see what wonderful things you make. I can't wait to see what beautiful quilting you will do on a long arm...still impressed by what you can do on a DSM! I was able to play with them at a show when I was still up in IL...I was ment to be a long armer...now if I just had that extra cash! 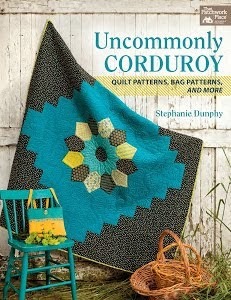 I will have to quilt vicariously thru you! Oh how wonderful for you!! Having my Gammill changed my life and quilting my own quilts and quilts for others is so satisfying, not to mention all the wonderful people you come in contact with. May you have many years of fun with your quilting!! I'm so glad to have found you now, especially another wool lover! How very exciting to be getting such a fantastic present-I will be back to see more of your wonderful creations. How wonderful that your A-1 is finally on it's way to you, Linda! I really know just how happy you must be! And to have Scott's total support is icing on the cake! I can't wait to see all the creations you will make! See me jumping up and down? I'm so excited for you! You are going to have so much fun! How exciting for you. It is a good thing that you shopped and asked around. I am sure it will all pay off once you get started. Can't wait to see what you quilt. Have fun. That is so exciting! I am soooooooo happy for you! Congrats Linda!! Another thing I'm sure you will master! Merry Christmas to you and Santa!! Congratulations, I'm so impressed you took the plunge! I've researched, test drove, researched, test drove, measured my sewing room, test drove, I just can't pull the trigger. It's such a huge investment, in time and money. I just don't think I have it in me to practice, I want to be good from the get go. Maybe I've just not found the right machine, it seems like once you found the one, the decision was easy. I wish you nothing but hours of fun and gratification with your new baby. Yay for you!!! The A-1 is the machine I want when I get to be a grown-up quilter! LOL! I love my HQ16 but I really love the A-1s - awesome machine. You are gonna be SOOOO happy with it I'm sure! Merry Christmas!